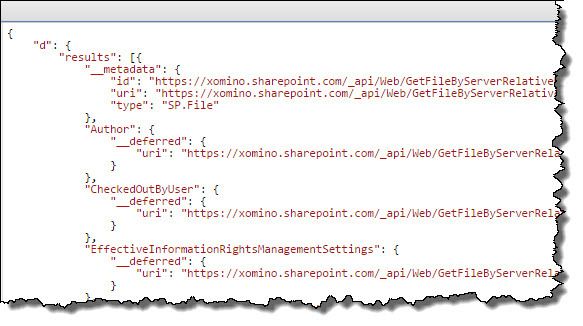 In this article I will describe a simple process for generating and storing an O365 token from within an Office Add-in. 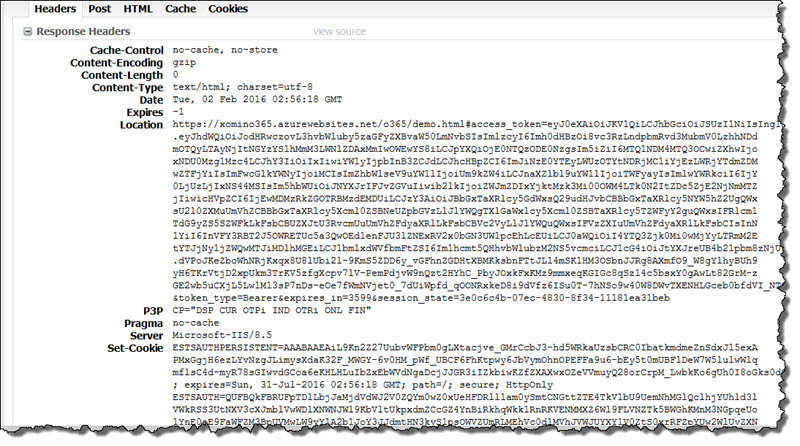 In the previous article I described the github project and sample code for creating and getting an Office 365 OAuth Token for use in an Office Add-in. This was an improvement on the previously accepted method for getting a token which required additional services and knowledge of C#. The biggest issue encountered was that the normal OAuth Token process when you log into Office365 takes you through multiple domains. When this happens in the Office Client Add-ins the user is thrown into a separate Internet Explorer. The generated token can then no longer be passed to the Add-in for programmatic use. This article described how the issue has been overcome and the release of the new simplified code. 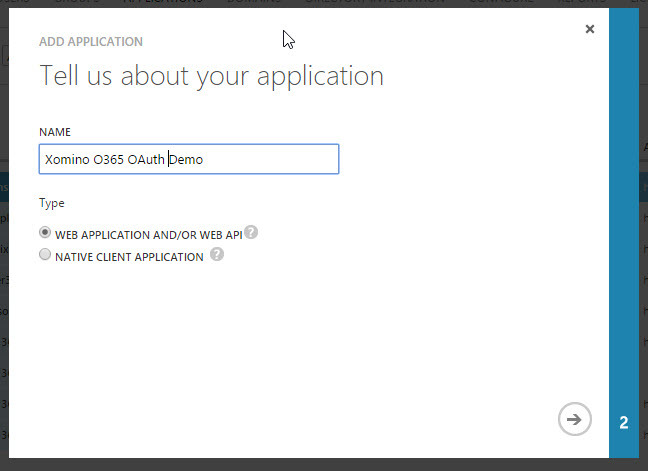 In this article I will show how to to create an Authenticated way to access O365 data from an Azure website. This method creates the necessary CORS headers to allow cross domain AJAX data traffic. The article and screenshots are accurate as of 31 Jan 2016 and may change over time. 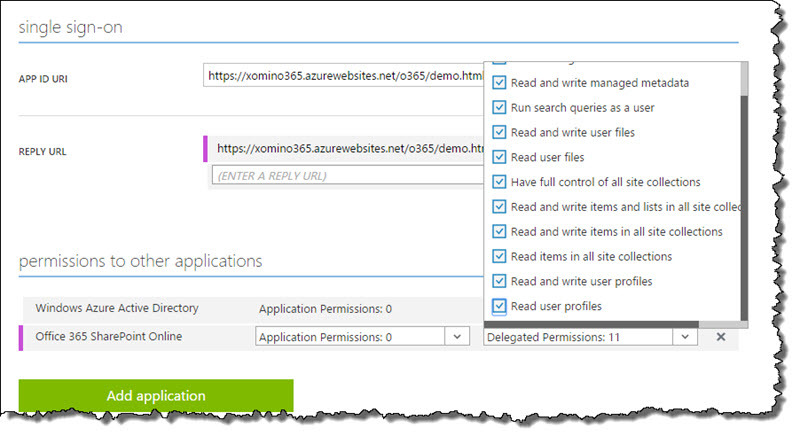 For a more in depth description of how to use Azure AD as your directory for O365 check out this excellent support article. 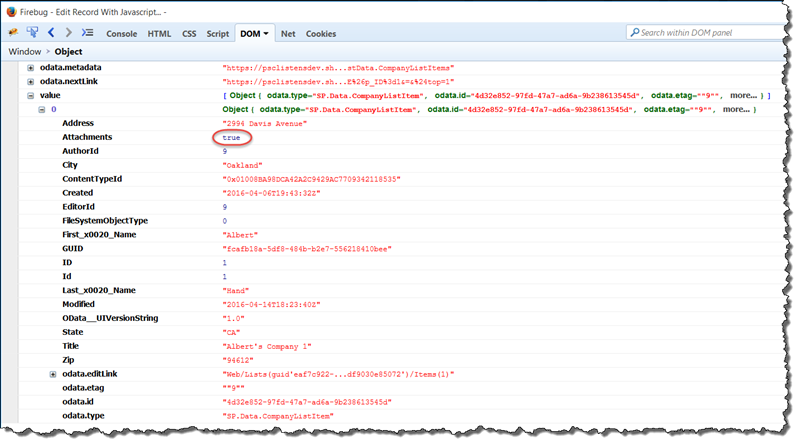 This is also a very helpful link – What is Azure AD Directory? 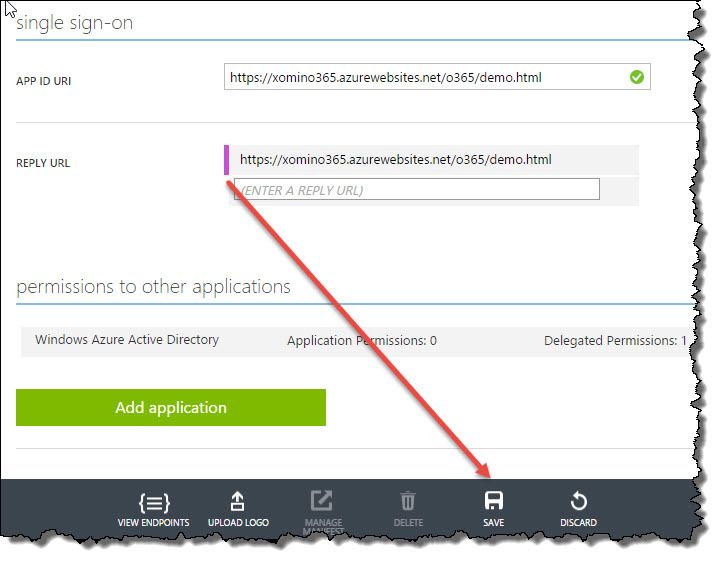 it will help you describe how to assign your Azure AD to your MS Cloud account. 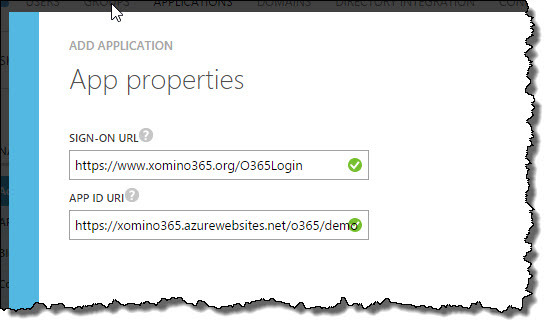 Once you have the Azure AD directory set up you can manage it though the Azure portal. In there you can find your directory by scrolling to the bottom on the left and selecting Active Directory. For the sake of this demo the above values are arbitrary and make more sense in context of the overall configuration. 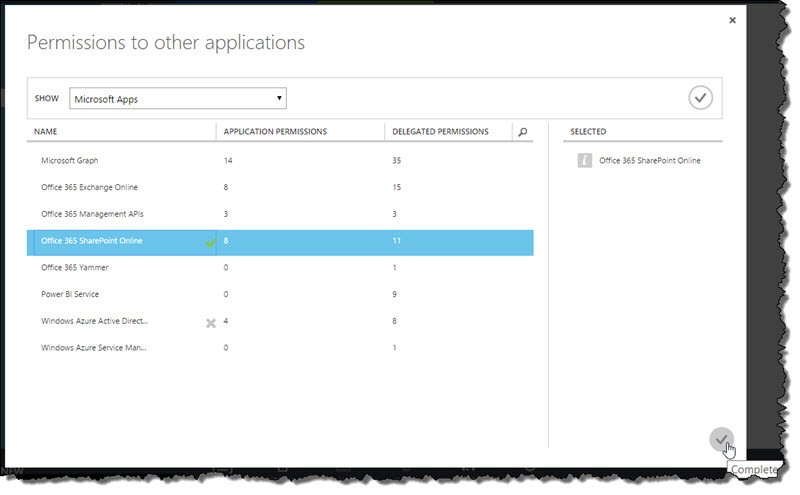 The configuration section shows all the information you need, and you application needs to be able to access O365 data from your application. 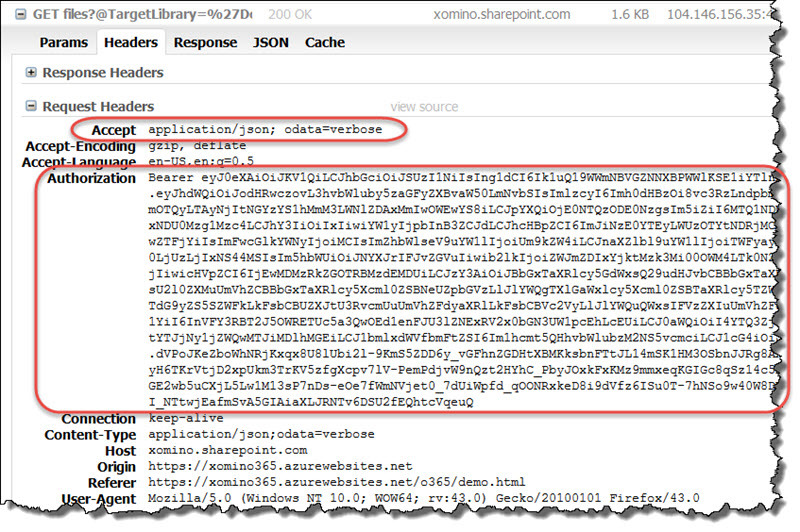 This does NOT have to be an azure hosted application. I am just using Azure for the sake of convenience. The name and Sign-on URL are carried over – the Sign in URL is actually merely for convenience, you don’t need to use it as far as I can tell. The Client ID – this is the single most important piece of this puzzle – this key holds the application together. You send it as part of the request for Authorization token. 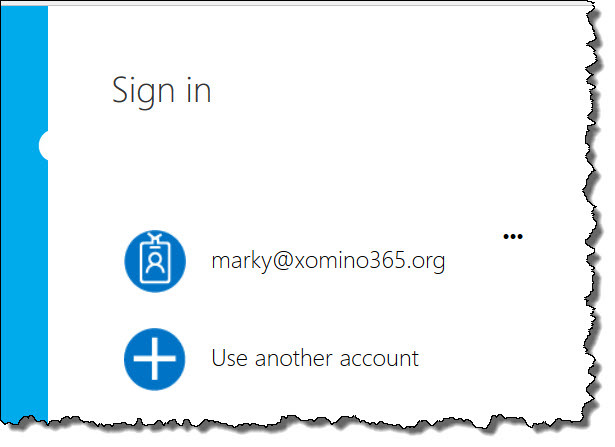 With it O365 determines the what who why when for security. We are going to change the reply URL to be the App ID for convenience. Don’t forget to save! 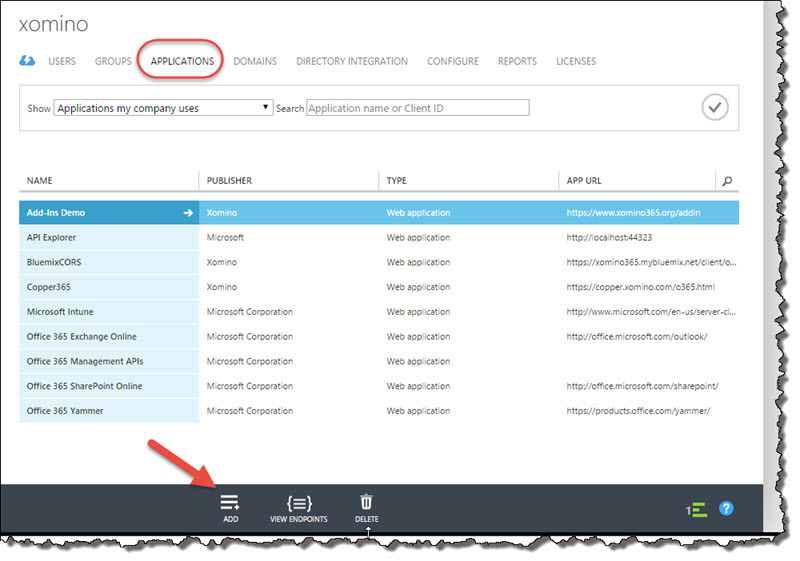 Selecting Add Application brings up all the applications being managed by Azure AD directory. 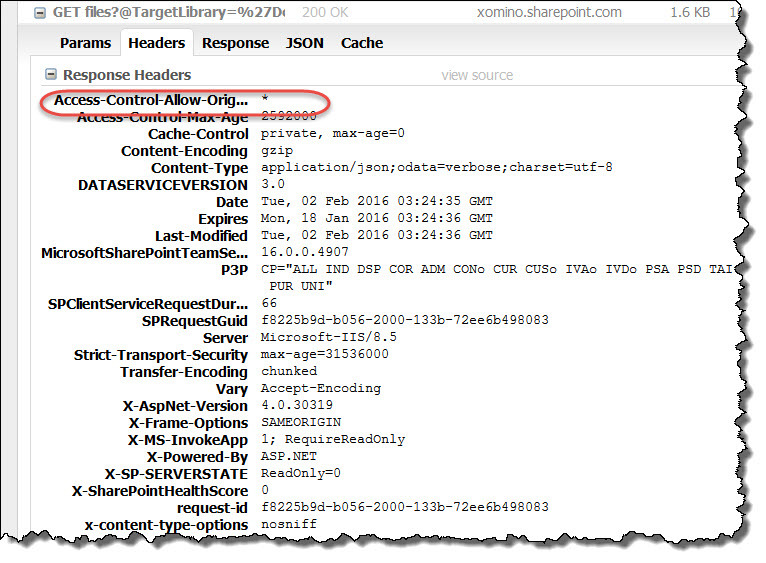 We are going to change permissions to access SharePoint online. Select and continue..
and don’t forget to save…..remember this, otherwise you will waste time wondering why you are an idiot…. 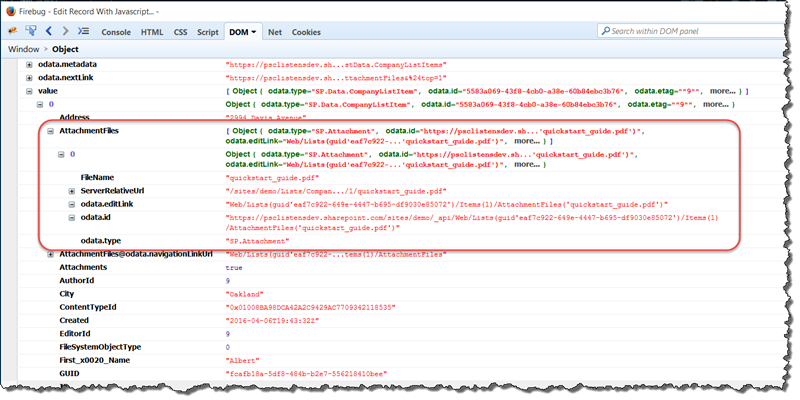 The manifest file is available at the bottom of the screen – selecting the link will download the text file. Save the manifest and upload it again. 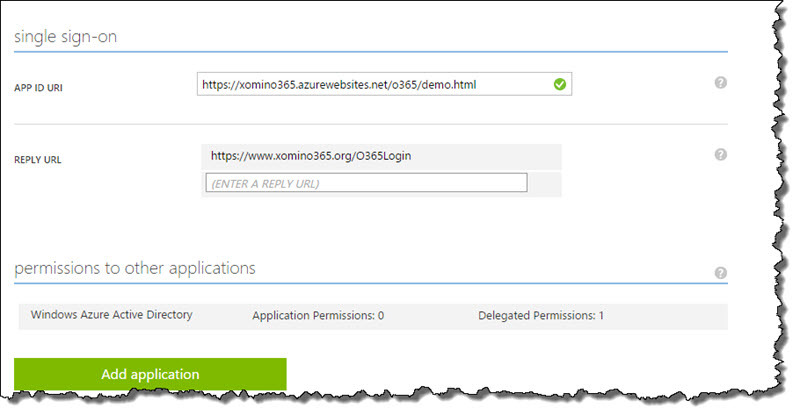 Following the methodology from the previous article, I created an Azure HTMl5 app with source control integration and loaded the example files up to the demo.html page. The end product looks like this. 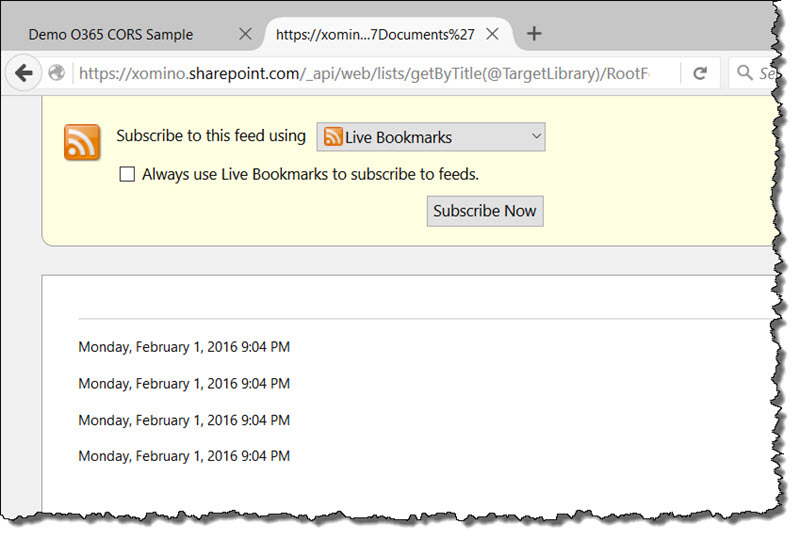 Clicking the CORS Request button collects data from the default site collection on the https://xomino.sharepoint.com O365 account. 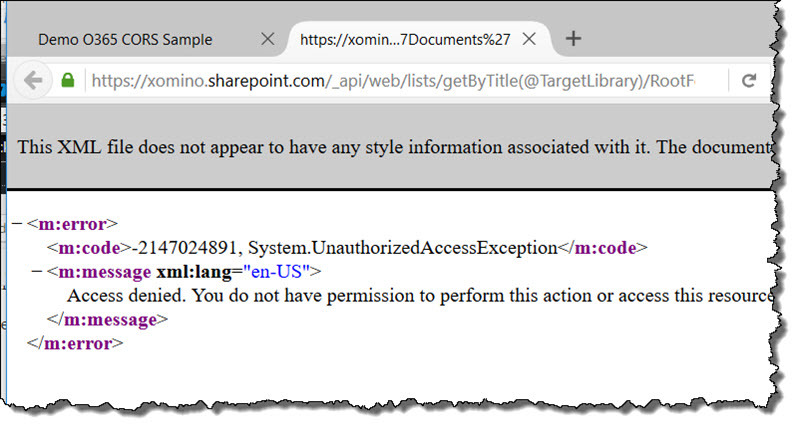 It is a little convoluted to create and set up an “Application your company is working on” and make it use O365 Authorization and Authentication. But once you go through it the first time it becomes relatively east to remember. This is the first example and I will be writing more about how it all fits together in the future.